Thousands attend Kim Jong-il funeral Jump to media player North Korea has begun two days of funeral services for late leader Kim Jong-il with a huge procession in the capital, Pyongyang. Two day funeral of Kim Jong-il begins Jump to media player Ceremonies have begun in the North Korean capital Pyongyang to mark the start of the funeral services for the secretive country's leader Kim Jong-il. 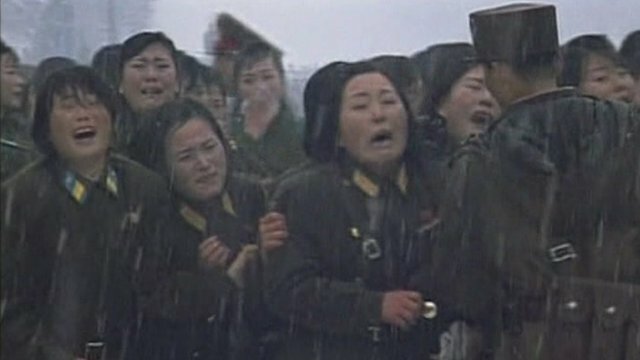 Is N Korea's grief 'choreographed'? Jump to media player Thousands of North Koreans are attending the funeral for the former leader Kim Jong-il, many of whom have been seen crying and wailing on state television. 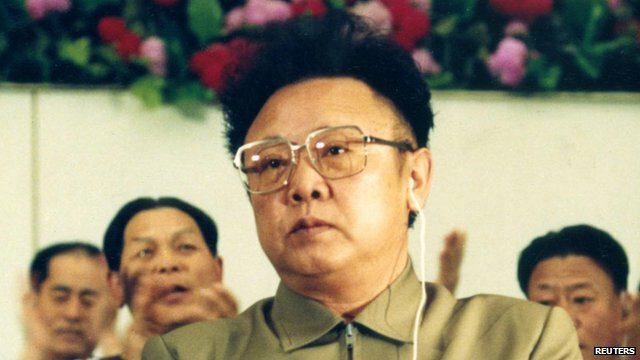 'Supernatural' theme to Kim reports Jump to media player North Korea is to begin two days of funeral services for its late leader Kim Jong-il, with hundreds of thousands expected to attend in Pyongyang. 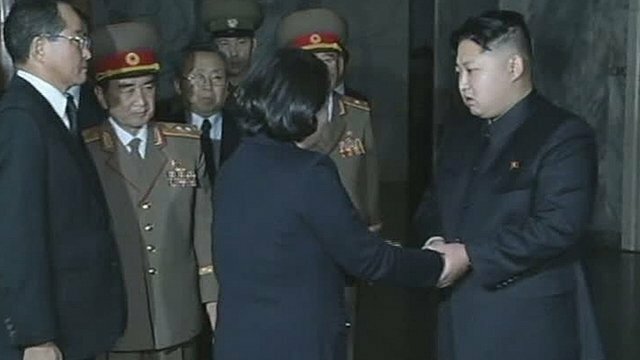 S Koreans meet Kim Jong-un Jump to media player Two prominent South Koreans have met North Korea's incoming leader, Kim Jong-un, in Pyongyang. 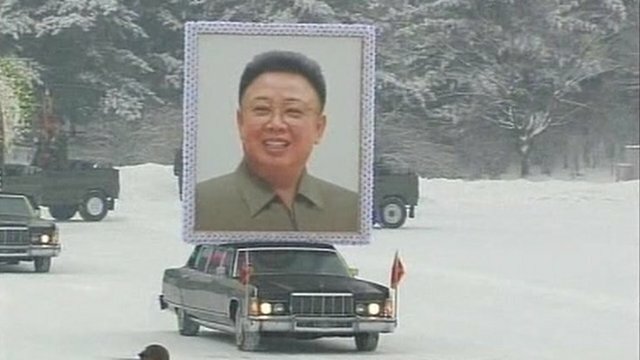 North Korea has begun two days of funeral services for late leader Kim Jong-il with a huge procession in the capital, Pyongyang. 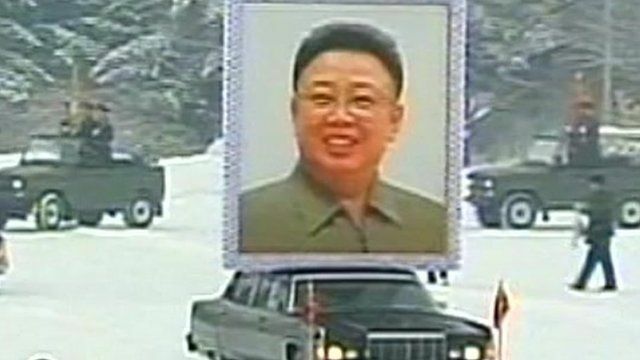 Images from state television showed his successor and third son, Kim Jong-un, walking beside the hearse. The BBC's Charles Scanlon discussed Kim Jong-un's prominence in the proceedings.